We have successfully used Quantitative EEG and neurofeedback in modalities for the enhancement of CNS (Central Nervous System) functioning. Neurofeedback allows for improvement in brain function based on or central nervous system functioning (feedback) in order to improve some or many aspects of the persons physiological function. Through the modality of neurotherapy, Siber Imaging offers specialized training protocols (developed and patented by Dr. Myra Preston and Kimberly Phillips) to rehabilitate clients. Dr. Myra Preston, Ph.D., has been the only Neurophysiologist in private practice serving the Charlotte community since 1984. All QEEGs are interpreted in-home and all protocols are established in-home. We do not outsource our work. Siber Imaging was created in 1993 with the intention of providing therapy to our clients here in Charlotte as well as across the country and internationally. Siber Imaging was founded by Dr. Myra Preston and Kim Phillips, Clinical Director. WE DO NOT OUTSOURCE OUR WORK! Neurotherapy (also known as neurofeedback and EEG feedback), first introduced in 1957, is a specialized form of biofeedback. Biofeedback utilizes behavior change in conjunction with regulation of one’s own physiology. Please read the disclaimer before proceeding with scheduling. 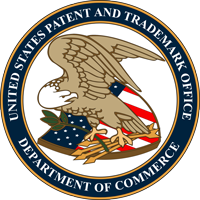 Dr. Myra A. Preston “METHOD OF DIAGNOSING AND TREATING CHRONIC FATIGUE SYNDROME” United States Patent No. 5,267,570 Issued December 1993. Myra A. Preston, PhD holds doctoral degrees in both Psychophysiology and Neurophysiology. Dr. Preston is neither a medical doctor nor a clinical psychologist. The field of Neurotherapy is one governed by a National Board Certification and a National Licensure. Dr. Preston has held these credentials since 1982. In our facility we do not diagnose or treat any condition. We work in association with licensed medical doctors. Our clinic operates in strict accordance with the appropriate standard of care consistent with N.C. statutes 90-18 and 90-14.12.